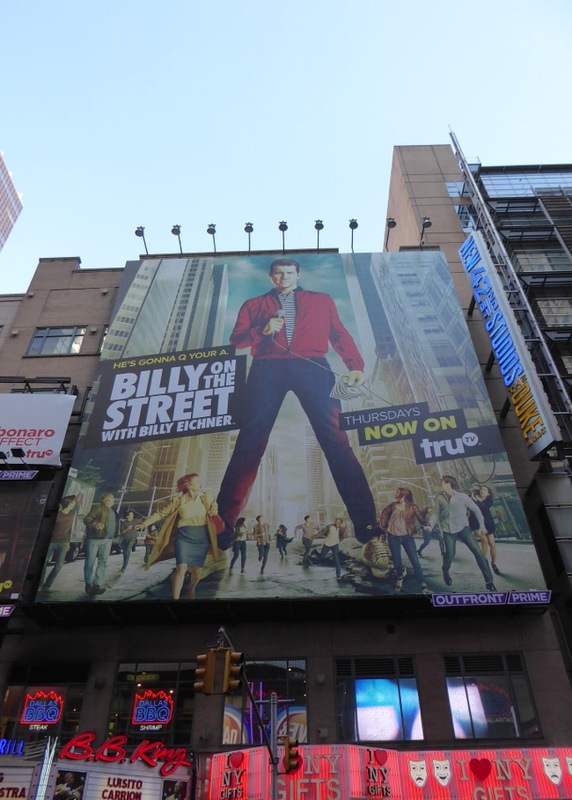 He's back, and just as Billy Eichner hits the streets of New York City, Daily Billboard is doing the same today, but instead of interviewing random strangers we'll be running the New York Marathon for a second time. This ad creative for the show's fourth season has a fun retro feel to it, like it's the attack of the 50 ft Billy out of some classic B Movie. 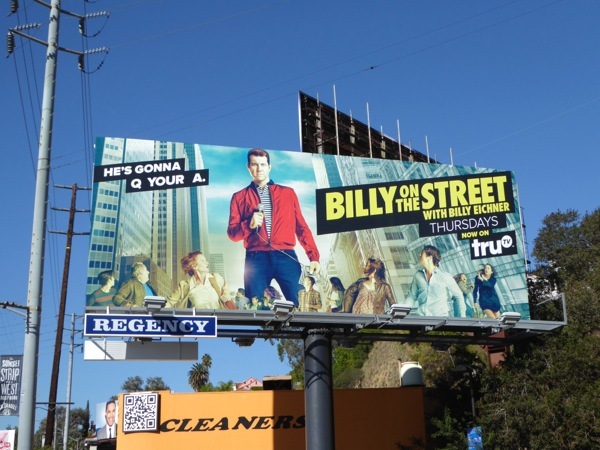 'He's gonna Q your A', indeed, as the quick-witted comedian asks pedestrians pop culture questions and plays ridiculous games with passersby, often accompanied by famous folks like Chris Pratt, Anna Kendrick, Amy Poehler, Tina Fey, Neil Patrick Harris, Debra Messing, Paul Rudd and more. 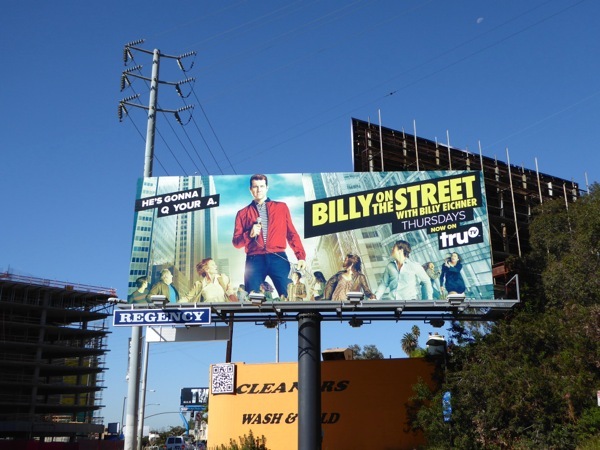 This season four billboard was snapped along West Hollywood's Sunset Strip on October 3, 2015, and if you're a fan of Billy Eichner, you can also check him out in these Difficult People TV series billboards. 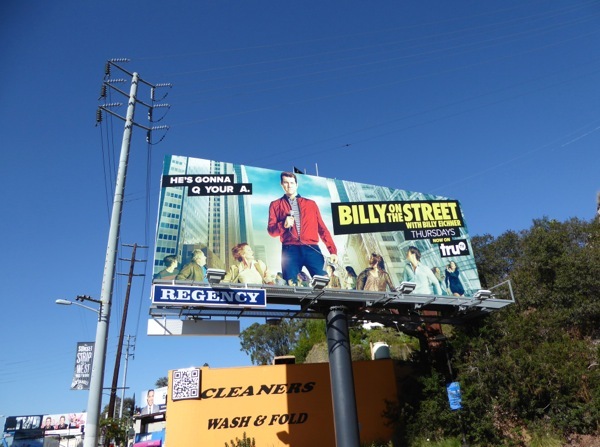 Keep up the good work Billy, and if you see bib no. 28125 running by today, give us a wave. UPDATED: Here's also a giant-sized billboard for the fourth season spied along West 42nd Street near Times Square in New York City on November 3, 2015. 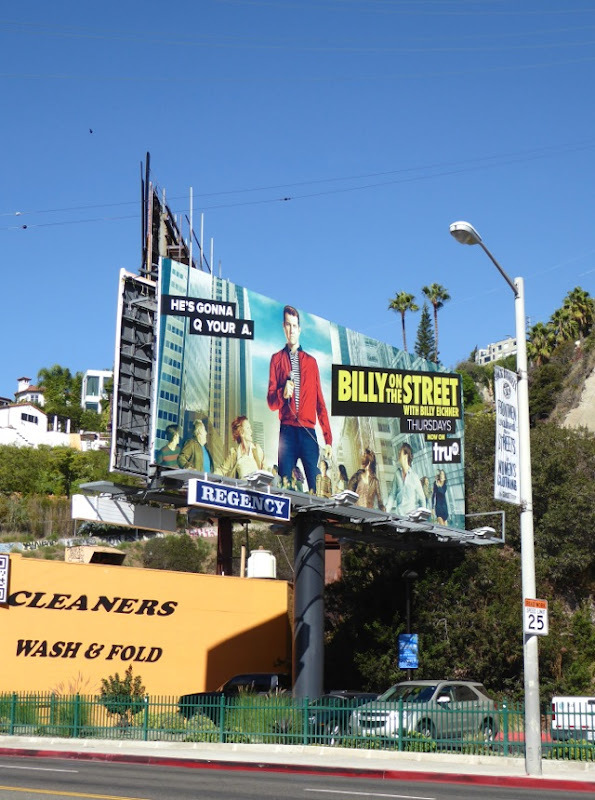 UPDATED: Aside from getting into a Twitter war of words with Ross Matthews over the show's concept, Billy Eichner is also hoping for some Emmy consideration this season, for Billy on the Street and his Hulu sitcom Difficult People. 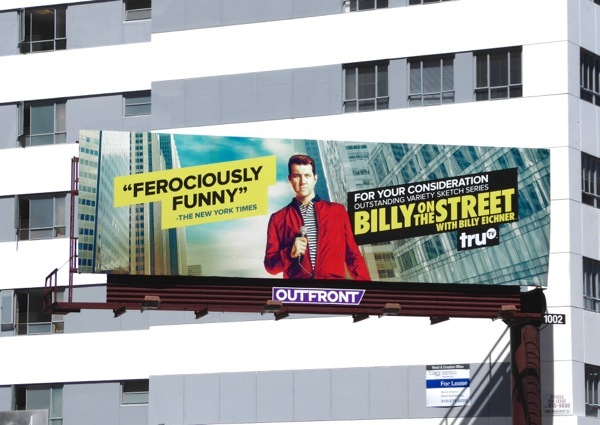 This Emmy consideration billboard for the show's "ferociously funny' fourth season was first spotted along Wilshire Boulevard on June 13, 2016. 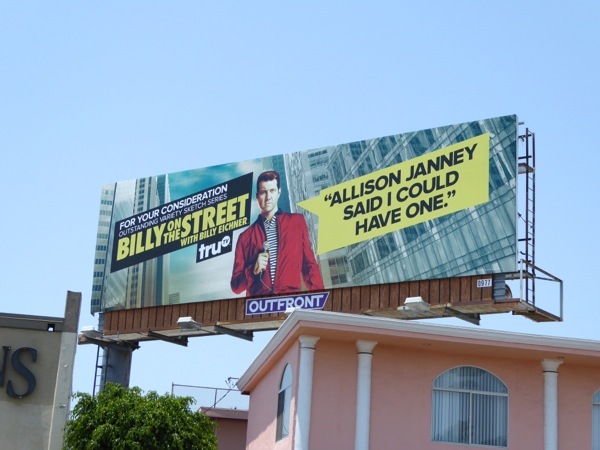 And here's another Emmy ad creative spied along Vine Street on June 29, 2016, this one with an apparent endorsement from actress Allison Janney.